For the national basketball association of China, see Chinese Basketball Association (organisation). This article needs attention from an expert in basketball. Please add a reason or a talk parameter to this template to explain the issue with the article. WikiProject Basketball may be able to help recruit an expert. The Chinese Basketball Association (simplified Chinese: 中国男子篮球职业联赛; traditional Chinese: 中國男子籃球職業聯賽; pinyin: Zhōngguó Nánzǐ Lánqiú Zhíyè Liánsài), often abbreviated as CBA, is the first-tier professional men's basketball league in China. It is widely regarded as the preeminent professional men's basketball league in Asia. The league is commonly known by fans as the CBA, and this acronym is even used in Chinese on a regular basis. The CBA should not be confused with the National Basketball League (NBL), which is a professional minor league. There is also a Women's Chinese Basketball Association (WCBA). A few Chinese players who competed in the CBA in the early stages of their careers — including Wang Zhizhi, Mengke Bateer, Yao Ming, Yi Jianlian, Sun Yue, and Zhou Qi — have also played in the National Basketball Association (NBA). Others such as Xue Yuyang and Wang Zhelin have been chosen in the draft, but did not (or have yet to) play in the NBA. Only a limited number of foreign players are allowed on each CBA team. Notable imports include former NBA All-Stars Stephon Marbury, Tracy McGrady, Gilbert Arenas, Steve Francis, and Metta World Peace — as well as several NBA veterans who would become CBA All-Stars — Michael Beasley, Aaron Brooks, Jimmer Fredette, Al Harrington, Lester Hudson, Kenyon Martin, Randolph Morris, Shavlik Randolph, and J.R. Smith. The CBA began play in the 1995–96 season. The league should not be confused with the Chinese Basketball Association (organisation), which was founded in June 1956 and represents the country in matters involving the sport's governing body, FIBA. Basketball in China is currently regulated by the Chinese Basketball Management Center. Other Chinese basketball leagues include the National Basketball League (NBL), the Chinese University Basketball Association (CUBA), and the Chinese High School Basketball League (CHBL). At one time there was a league called the Chinese New Basketball Alliance (CNBA), one of whose most prominent teams was the Beijing Sea Lions, but this venture lasted for just one winter (1996–97). The first non-Chinese player to compete in the CBA was Mihail Savinkov of Uzbekistan, who joined the Zhejiang Squirrels in the league's inaugural 1995–96 campaign. During the 1996–97 season, James Hodges became one of the first Americans to play in the CBA, and his signing by the Liaoning Hunters helped pave the way for many more imports from the United States to follow in the ensuing years. Some other notable foreign pioneers included John Spencer, who joined the Jiangsu Dragons later in the 1996–97 campaign, and David Vanterpool, who inked a deal with the Jilin Northeast Tigers the following winter, and helped the team move up to the CBA in time for the 1998–99 season. The CBA's first international coach was American Robert Hoggard, who led the Sichuan Pandas for the last eight games of the 1997–98 campaign. For a full list of teams, see Category:Chinese Basketball Association teams. A geographic designation (except in the case of Bayi, which technically translates into English as "August First," the day China's People's Liberation Army was founded). 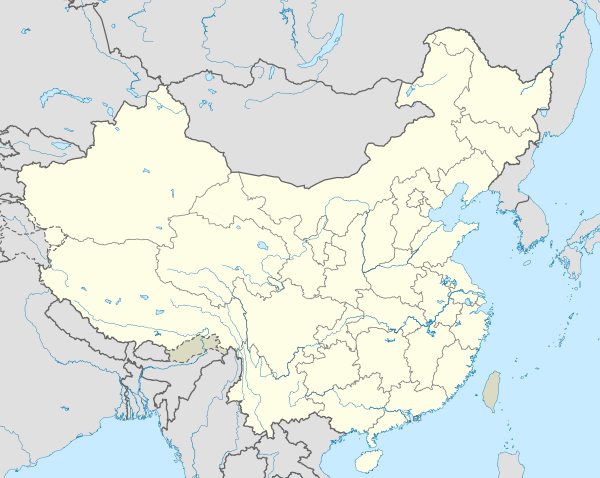 All others are province-level designations (either a province or a Chinese municipality). A corporate sponsor name. This sponsor may change from year to year, and sometimes even in mid-season. A nickname, such as the name of an animal. The presence of corporate sponsor names can occasionally lead to confusion about what name to use in English because many variants may be seen. Team names are usually abbreviated (in Chinese or English), so that either the corporate sponsor name or the nickname is used interchangeably (rarely both). In addition, team nicknames can sometimes be translated into English in more than one way, and corporate sponsors tend to change frequently over time. In previous years, the title of the league itself was available for corporate naming sponsorship. In 1999–2000 and 2000–2001 it was known as the Hilton League, in 2001–2002 and 2002–2003 it was the Motorola League, and in 2003–2004 it was sponsored by China Unicom. These corporate league titles were not always used in the news media, however, and this sponsorship practice was discontinued at the start of the 2004–2005 season. While teams are listed by division here, the CBA does not use these designations for regular season purposes anymore, as each squad now plays each other once at home and once on the road (plus eight additional games within each of the four rotating "strength of schedule" sub-groupings). Divisions are used for the league's annual All-Star Game, however, and are shown here for the sake of convenience. Location of the CBA teams. This is a chronological listing of current and former CBA teams according to the season that they entered the league. In 2005, the league unveiled the Mou Zuoyun Cup (simplified Chinese: 牟作云杯; traditional Chinese: 牟作雲杯; pinyin: Móu Zuòyún Bēi), which was awarded for the first time to the winning team in the CBA Finals. Mou Zuoyun (born 1913) was a member of the Chinese men's national basketball team which competed at the 1936 Summer Olympics, and he later served as a coach and a pioneer in building Chinese basketball. This is a list of teams which have advanced to the CBA Finals and the overall win-loss records they have compiled in the Championship Series. The CBA Most Valuable Player award is presented to the league's best player in a given CBA season. Since the 2012–13 campaign, two awards have been handed out each year, Domestic MVP and International MVP. At the conclusion of each season, the CBA Finals MVP award is bestowed upon the most outstanding player in that year's championship series. Each campaign's scoring leader is also recognized on an annual basis and the league maintains a list of single game, single season, and career record holders in various statistical categories. Furthermore, a CBA All-Star Game MVP award is given to the player deemed to have the most impactful performance in the league's annual mid-season exhibition contest. The CBA's highest single season scoring average, depending on how many games are required to be recognized as a statistical qualifier, is either 43.1 points per game by Jordan Crawford, who played in 26 of Tianjin's 38 games (68.4%) in 2015–16, or 42.0 points per game by Jonathan Gibson, who played in 36 of Qingdao's 38 games (94.7%) in 2015–16. This is a list of individual records separated into two categories — career records and single game records. Records last updated and confirmed on March 13, 2019, the final day of the 2018–19 CBA regular season. Listed below are some of the most accomplished Chinese players who have competed in the CBA. Time spent with teams in lower leagues before they joined the CBA, or after they left the CBA, cannot be counted as CBA seasons. Notes will be made of such service below a player's CBA information. Note: The Red Squad of the Chinese National Team toured the USA and played several NBA Summer League teams during the 2018 NBA Summer League season. Listed below are some of the most accomplished foreign imports who have competed in the CBA. Players must appear in at least one game for the team to receive credit for a season. Someone who signs a contract but never steps on the court does not count. ^ Hudson's 2010–11 minutes estimated at 1,073 (37 per game which is slightly below his average for the next couple of seasons). As of 2019, the CBA's all-time leader in minutes is Hu Xuefeng or Liu Wei, but the league didn't record minutes before 2011. ^ Record for dunks is probably outdated but CBA statistics for this category haven't been easily accessible in recent years.